I don’t know how aware you are about the Facebook Live Map. but if you haven’t noticed it, it sits quietly in your left bar on the desktop version of your Facebook Page, It is the first one in the APPS tab. And, be advised, once you dive in, your worldview might change forever. It is, basically, a map of the world that is highlighting all the live broadcasts that happen on Facebook, in real time. 1. Stereotypes – If you aren’t a very nuanced analyst of the world, Facebook Live Map will definitely substantiate your stereotypes. What I am trying to say is that you will find a lot of “in your face” content, exuberance, diversity. People are still testing the platform not realizing how exposed they really get, so they would flirt, smoke, swear, sing, hate or preach with little self awareness; they are truly raw. 2. Countries mysteriously missing – For some reason, Canada doesn’t appear on the map. I wonder why? I could not find an explanation online. Help me out! 3. Professional broadcasting – The Western countries, especially the US, show the largest percent of professional broadcasting of all the regions. Although it makes a whole lot of sense for media companies to use this technological opportunity, Eastern Europe, for instance seems clueless in this respect.I haven’t seen one company in Romania (my home country) broadcasting live on Facebook while I was looking (by professional I mean conferences, radio or TV shows, lectures, sermons, shows, etc). 5. South East Asia – Is booming with Facebook Live contrary to my expectation. I would have expected that they would be more restrained but they are not. They are also very imaginative with its use. I came across people broadcasting their TV screen transmitting a film or a sports event and commenting it. They also seem to have huge follower numbers as opposed to Europe, at least for the moment. 6. Regional particularities – Appear ever more prominent.As you can imagine, crossing borders is the easiest thing to do on Facebook Live Map. While doing so, the overarching feeling is that languages sound alike, people are alike and behave alike. I will give you an example: all Scandinavian people go to bed earlier than the Brits, the Dutch or the French. Or, at least, they don’t feel any urge to go live at midnight. 7. Middle East – Is all male, but, on the other hand, I went and checked, and the gender imbalance in this region starts with the very creation of a Facebook account. They are, on average, 75% male to 25% female Facebook users in the Middle East. 8. Romania – Is aching with “manele”(Oriental inspired music generally played by the roma/gypsy minority and associated with a certain lack of culture and bad taste) and bad language. 9. Urban vs. Rural – Urban areas, especially capital cities, are predominant across the globe. I will answer the question you are probably thinking of: why does this matter at all? 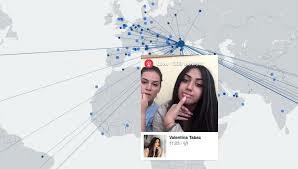 I would say that Facebook Live Map is an incredibly interesting tool, that can help you explore the world, prepare for the world, and ultimately get exposed, either shamed or appraised. Please don’t get me wrong, I am not trying to be judgmental in any way. I cherish the courage and the selflessness of the people who experiment with Facebook Live. I wish I could be this authentic. Nonetheless, for those interested in the social, at a global scale, this tool allows an incredible window for observation. 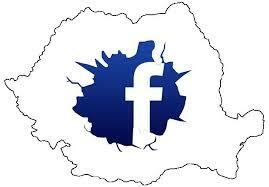 Let us know what is your opinion about Facebook Live Map. Do you enjoy it? Do you find any use for it? ← I’m Going to Webstock 2016!